« Is Your Home Energy Efficient? Leave carving to the adults. Carving a pumpkin can be difficult for a little one. Let them draw the face and you carve it for them. Use reflective tape. With the addition of reflective tape on costumes or treat bags, this will help increase visibility. Street lights aren’t everywhere and sometimes yards are dark, be sure to have flashlights with fresh batteries for your trick-or-treaters. Make your home safe for trick-or-treaters. Check outdoor lights and replace burned out bulbs. Clear sidewalks of debris for easy walking. Look both ways. It’s difficult for motorists to see trick-or-treaters. Be sure to look both ways before crossing. More tips can be found on American Academy of Pediatrics website. 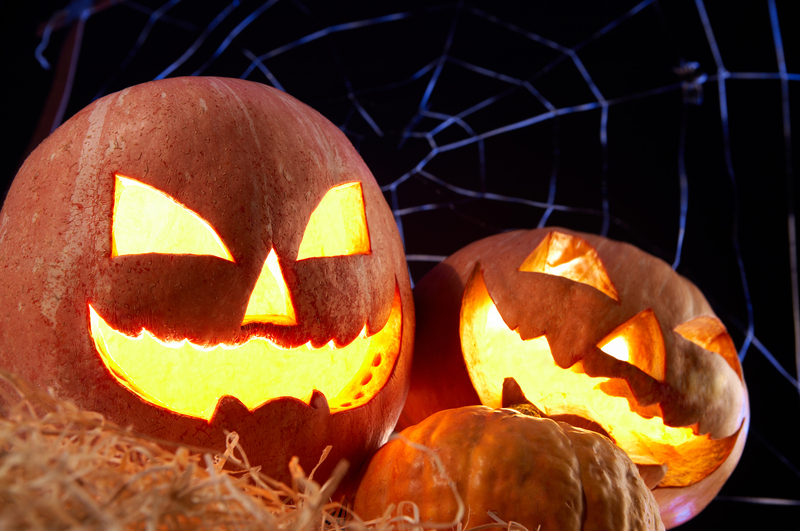 From all of us at GreenHomes, be safe this Halloween! Share this post with a neighbor and protect the trick-or-treaters in your neighborhood. This entry was posted on October 30, 2014 at 3:00 pm and is filed under Holiday, Home. You can follow any responses to this entry through the RSS 2.0 feed. You can leave a response, or trackback from your own site.